This will be my "build" or make things better and reliable. 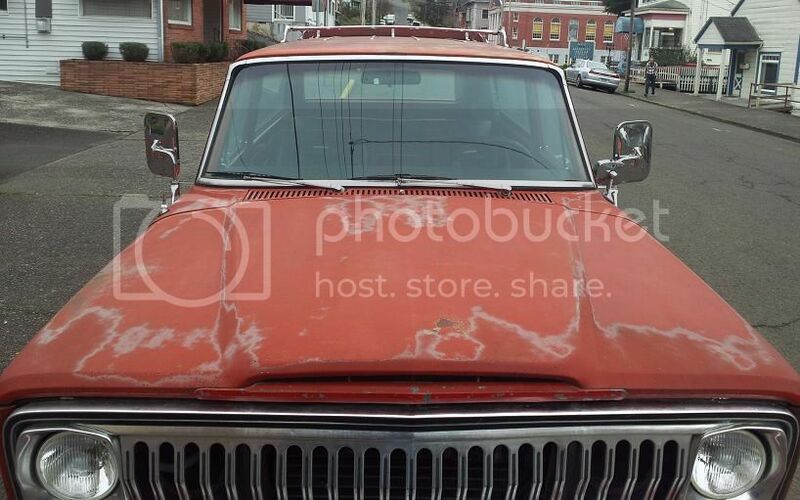 The start: '74 Cherokee S. 401 auto. I am the 3rd owner. Everything is stock except Hella H4 lights and a Carter Comp carburetor. Have not driven it much since I bought it other then the hour drive home when I got it and the 10 minute drive to the DMV. Want to fix some things up first. Things I have done to it already. 1) Replaced the wipers, which could have been original. There were terrible and of course it rained the night I drove it home. 2) Call me crazy but I decided to put hose clamps on the fuel line where the fuel filter is. Yeah it had none. 3) Replace vacuum plugs on carburetor that were split. 3) 21 circuit fuse box. Things I just ordered from Serehill, here on the forum. 2) Tailgate window wiring harness. Things I want/ need to do. 6) Other minor things that pop up. Things I would do if money was no object. 1) Complete body rebuild. Like everyone else I hate rust. 2) 5 speed manual. I prefer manual transmissions. 3) Fuel injection on my 401. This won't be an exciting build thread. Just my way of documenting what I do. Removed most of the A/C stuff. Removed the points distributor and replaced with HEI. Replaced all vacuum lines to heater switch controls and T/C. Last edited by berettajeep on Thu Aug 28, 2014 4:39 pm, edited 6 times in total. 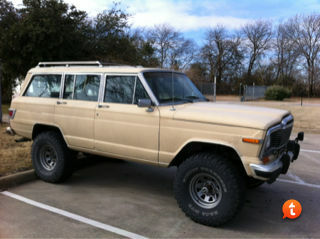 '83 Wag Limited, 360/727/pinned 229/D44 front/AMC20,lockrite,rear/6" BJ lift w/ 35/12.50/15 M/T Baja MTZ/ Pro-Jection EFI. [quote="berettajeep"2) Call me crazy but I decided to put hose clamps on the fuel line where the fuel filter is. Yeah it had none. Yep. You're a rebel alright!!! While you're at it, think about replacing all your rubber vacuum hose AND fuel lines. That'll help ensure that the fire extinguisher remains un-used. 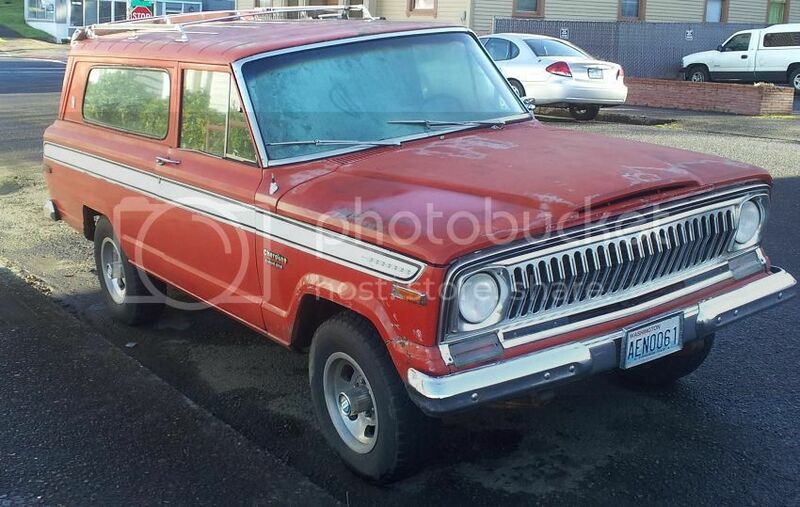 Thats a beautiful Cherokee, nice find. On your tailgate, you can only do electric OR manual, unfortunately. Serehill also makes a harness to fix the wiring, and a good lock smith can key it to your new door keys. You might have to take the lock out for him though. The AMC car guys have been putting the AX15 behind their 401s and are loving it. A Dana 300 transfer would give the proper front output. Well yesterday was a very nice day (Sun and no rain!) here so I did some stuff to the Jeep. 4) Replaced the passenger front side marker lens. Today I drove it to get an estimate on a new exhaust system. I got to really look underneath too. What I have now is 2 inch pipes. Previous owners cut the Y-pipe, capped it and ran the passenger side. Driver side was then made. Both run into Cherry bombs then exit out the rear. For $800 I will get 2.25 or 2.5 ( I don't remember now ) pipes from the manifold back with new Cherry Bombs. Jeep dieseled bad when I got back home after I shut it down I don't like that. ( Don't think many people do.) I will have to do something about that. Any suggestions? I wish I was making that sort of progress on ours. Except for the stupid hood thing someone did to ours they are very close. 74 Z codes keep eluding me. I decided to make my 77 Cherokee look like a 74. I want a 74 Z code really bad!! Nice Z brother!! This 74 Z code belongs to a FB friend of mine named Yuji in Japan. We like the white also, pretty much plan to keep the exterior stock looking. The red interior paint has to go along with the padded dash. I'd offer to send you our side windows when we pull them but they are probably not worth the shipping cost and the AZ sun has really put a hurt on the seals. We have a very nice set we are going to replace those with. It will be a bit as this is a slow project but when I pull them we can see if you have not found some closer. We have the non-matching side mirror thing going on like other folks do, cable remote on driver side, manual on passenger side. not sure where that is headed. I was able to get a very nice bumper guard replacement from a buddy a few hours north of here so at least those match now. CherokeeJim wrote: This 74 Z code belongs to a FB friend of mine named Yuji in Japan. Cool. 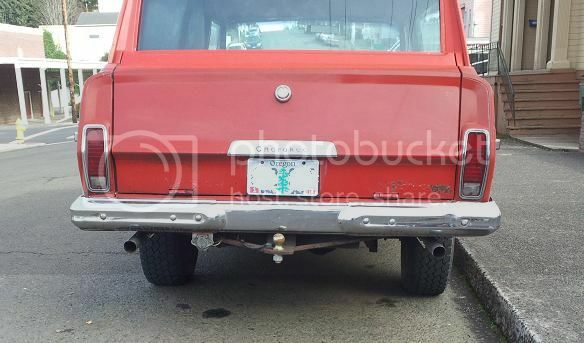 Is this the same Cherokee that has side pipes to it that I have seen on Youtube? Yes Sir, its the same one. Yuji has removed the side pipes since that video and went with the 5 slot wheels. Tad wrote: I'd offer to send you our side windows when we pull them but they are probably not worth the shipping cost and the AZ sun has really put a hurt on the seals. We have a very nice set we are going to replace those with. It will be a bit as this is a slow project but when I pull them we can see if you have not found some closer. Yeah the shipping would probably be crazy. I have a set of truck mirrors I will be putting on eventually. Well dropped the Jeep off to get its exhaust replaced. I will get it back tomorrow or Friday. Replaced a couple fuel lines and the filter. Need to do a couple more but I didn't have the right size. Cherokee is my favorite Jeep of all times. Sporty & family all in one. Received Serehill's custom headlight relay harness http://www.fsjnetwork.com/forum/viewtopic.php?f=34&t=1789 today. Looks very good and I can't wait to install it. I got the one with the fog lights wired in. I don't have any yet but when I do in the future it will be a simple add on. Picked up my Jeep a few hours ago after the new exhaust was installed. 2.5 inch to the end of the transmission then becomes 2.25 inch. I like it, its not super loud unless you really give it gas and it is much better then the 2 inch system that was on there. -Coolant is puking on the ground. Previous owner replaced the whole cooling system ( Water pump, radiator, hoses...) everything but the radiator cap. And since I don't have an overflow tank, I will be adding one. Mirrors installed. Eventually I will remove the stock mirror and make some kind of cover for the outside and inside, but I am in no hurry to.